At the Seoul Duier Flagship Store, I styled 3 looks feat. Korean brands: Eyeye, General Idea and Beyond Closet. Twins, Ada and Anna, are known to many fashionistas in Seoul for their stand-out style at local fashion events, but the sisters' intuition for trends and styling extends beyond their coordinated outfits at Seoul Fashion Week. They've recently burst into the local commercial fashion scene with the lifestyle shop, Duier. Hailing from China, Ada and Anna, 36, launched the first Duier boutique in 2009, alongside business and investment mastermind, Ivan Chan. Initially gaining traction on their home turf, the brand has since grown from one flagship store in Chengdu to 10 boutiques across the country, and a showroom in Hong Kong. 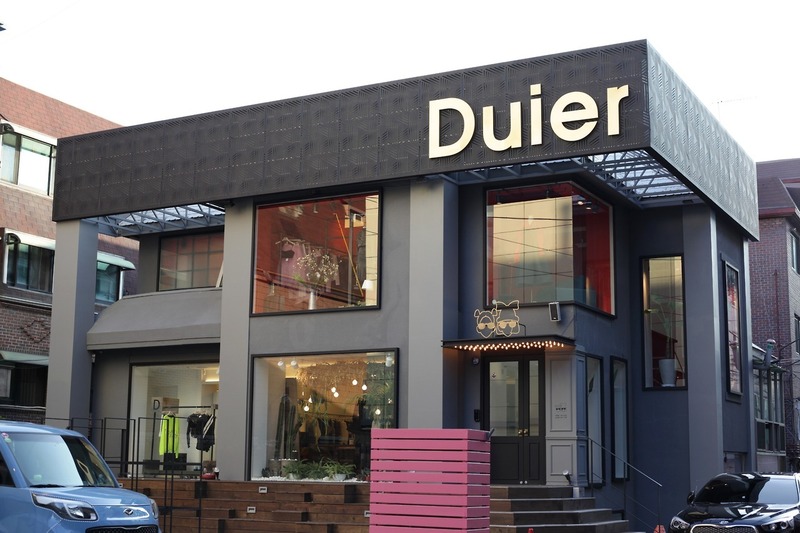 Last October, the formidable three launched their Korean flagship Duier store in Garosu-gil. They stock the very best of Korea's hottest brands and designers, and have long-lasting friendships with all of them as well. ➥ To learn more, read my full article for Seoul Magazine - Sisters are Duiering it right.